Jocelyne Fadiga and Havilliah “Jake” Malsbury traveled from different worlds to study at UC Merced. The youngest sister of 13 children, Fadiga grew up in Côte d’Ivoire (the Ivory Coast) in West Africa before immigrating to the United States about eight years ago. Malsbury came to UC Merced from Santa Cruz to become the first in his family to earn a bachelor's degree. Their paths as undergraduates are unique, yet they are linked by a strong desire to help others, an appreciation for their alma mater, and as the two student speakers at UC Merced’s upcoming commencement ceremonies. 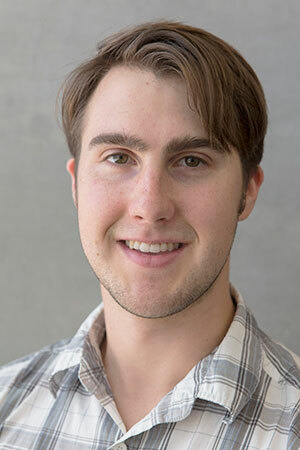 “It is a tremendous honor to be able to speak and represent my class,” said Malsbury, a history major who will talk at the May 14 ceremony for the School of Social Sciences, Humanities and Arts. Fadiga, a chemical sciences major, speaks May 13 to students from the School of Natural Sciences and School of Engineering. Fadiga applied to speak at commencement to honor her mother and is hopeful she will be able to travel from the Ivory Coast to attend the ceremony. The journey has been long for Fadiga, who left home for the U.S. as a young adult with no specific plan but a keen sense of adventure. “I needed something more outside the boundaries of my country,” she said. Fadiga settled in Oakland. But it took years to learn English, adjust to American culture and connect with people. At times, she was homeless, depressed and hungry. She chose to pursue higher education and persevered partly with the help of people who cared and provided support. That was an important factor at UC Merced, where Fadiga transferred several years ago. At UC Merced, Fadiga performed undergraduate research and participated in symposia and conferences, worked as a lab assistant, and helped mentor students in the Degree Attainment for Returning and Transfer Scholars (DARTS) program. She joined organizations ranging from the National Society of Black Engineers to the Merced County Project 10%, which aims to improve local high school graduation rates, and often served in leadership roles. 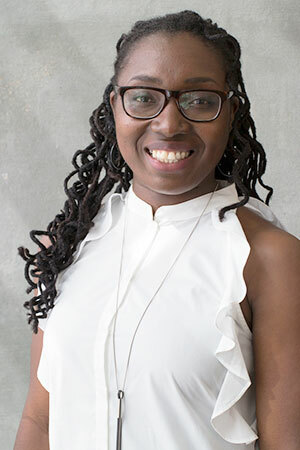 Fadiga credits UC Merced with helping to build her confidence, connect her to research opportunities and provide the chance to develop new relationships. After graduation, Fadiga plans to work in stem cell research at UC San Francisco. She also envisions doing some kind of humanitarian work that would allow her to travel and meet people. Making a difference in the world also is a priority for Malsbury, who recently received the Carol Tomlinson-Keasey Award — UC Merced’s most prestigious leadership award. Malsbury’s campus activities include working as a civic leadership intern in the Office of Student Life, serving as editor-in-chief of the Undergraduate Historical Journal, working as a student researcher for the Native American Tribe Conservation Project, and serving as president of the Historical Society at UC Merced. Through a study abroad program in 2016, Malsbury spent several months in Cape Town, South Africa. There, he worked with nonprofits to help youth in high-poverty areas and mentor high school students. “That was one of my most memorable experiences,” Malsbury said. He hopes others similarly will leave their comfort zones to take advantage of the many opportunities available to students. Malsbury praised UC Merced’s sense of community and civic engagement along with the accessibility of professors and staff. He said the university helped him define a path in life that involves working for human rights. He’ll start in Australia after graduation and may consider graduate school or law school.